We are searching for new antibiotics by analyzing the DNA of microbes that have never been studied until now. 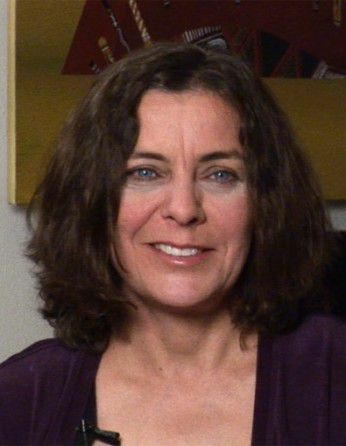 Jill Banfield is a Professor of Earth and Planetary Science and Environmental Science, Policy, and Management at the University of California, Berkeley with an appointment in Earth & Environmental Sciences at Lawrence Berkeley National Lab. The Banfield lab studies the inter-organismal and environmental interactions of natural microbial communities using cultivation-independent approaches such as metagenomics and community proteomics. With antibiotic resistance on the rise, the need for new antimicrobials is more pronounced than ever. Microbes produce diverse secondary metabolites that mediate communication, competition, and interactions with other organisms in nature, and can be used as antibiotics or antifungals. The vast majority of antibiotics currently in application are derived from isolated bacterial strains. However, there are enormous biases in cultivability of microorganisms that lead to the same species being consistently re-cultured, and therefore the same antimicrobials being re-discovered. Bacteria from soil ecosystems represent a promising source of new antibiotics and other bioactive compounds but to date, many of them remain uncultivable and uncharacterized. Previous attempts to screen for biosynthetic products from uncultivated soil bacteria have relied on expression of randomly generated DNA libraries, which mostly run into problems with genetically unoptimized and often fragmented genetic regions, limited functional assays, and inability to make sense of negative hits. A targeted approach combining metagenomics and synthetic biology allows us to specifically focus on functionally interesting biosynthetic clusters from uncultivated organisms. In assembled metagenomic sequencing data, we have identified novel gene clusters from never-before-studied bacterial species, which are highly similar to known natural product biosynthesis clusters, and have predicted functional links between many of these and antibiotic production. By synthesizing the DNA sequences of these genes and re-introducing them into laboratory expression strains, we hope to characterize their metabolite products and explore their functional uses. Novel soil bacteria possess diverse genes for secondary metabolite biosynthesis.